The world invested $329 billion in renewable energy in 2015, an increase of 4 percent compared to 2014 and surpassing the $318 billion spent in 2011 to set a new record, according to a new report by Bloomberg’s New Energy Finance. The durability of spending on renewable energy is made more significant, the authors of the report note, by the fact that oil, coal and natural gas prices continued to decrease, after declining in 2014 and continuing to fall throughout last year. “These figures are a stunning riposte to all those who expected clean energy investment to stall on falling oil and gas prices. They highlight the improving cost-competitiveness of solar and wind power,” the chair of Bloomberg’s New Energy Finance’s advisory board, Michael Liebreich, said in a release. The 2015 number also does not capture spending that may be driven by the Paris climate agreement, which was reached at the end of the year. In connection with the Paris talks, a group of governments led by the U.S. and France, and private investors led by Bill Gates, Mark Zuckerberg and George Soros, promised to invest in new energy technologies. But despite the good news, clean energy spending still needs to increase dramatically if the world is going to meet the goal of limiting climate change to 2 degrees celsius, a cornerstone of the Paris agreement. 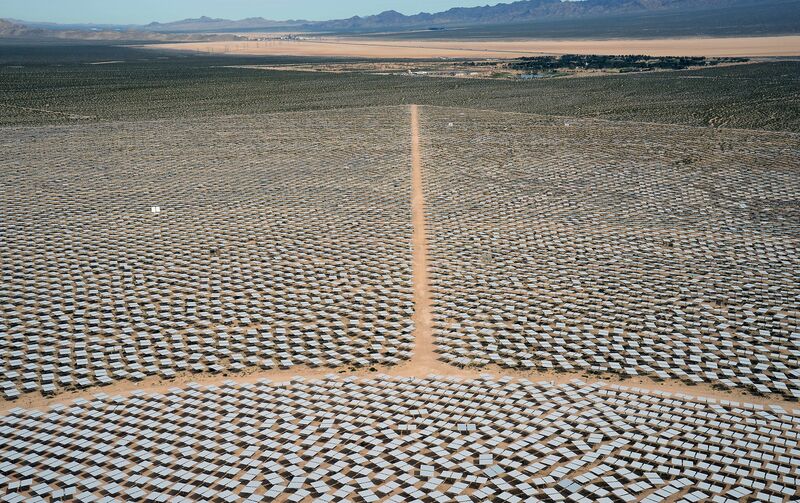 That would require an annual investment of $7 trillion, according to data from the International Energy Agency. 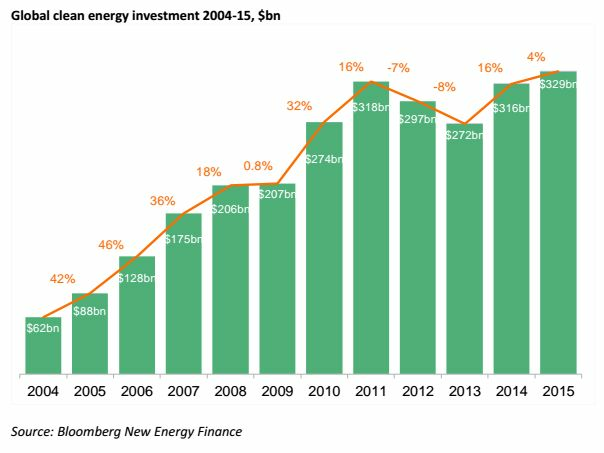 In that context, the 2015 investment record, while laudable, still leaves a gaping clean energy investment gap.